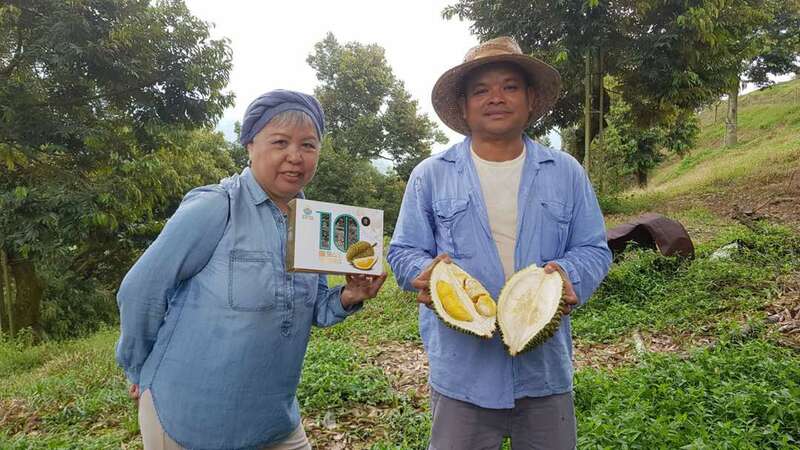 Some 9 acres planted with healthy trees, there are some 200 trees planted on the rolling hills, mainly the Musangking Specie with some elegant " concubine" specie. The farm is situated just 15 minutes from the Sg Tua exit along the Karak Highway. 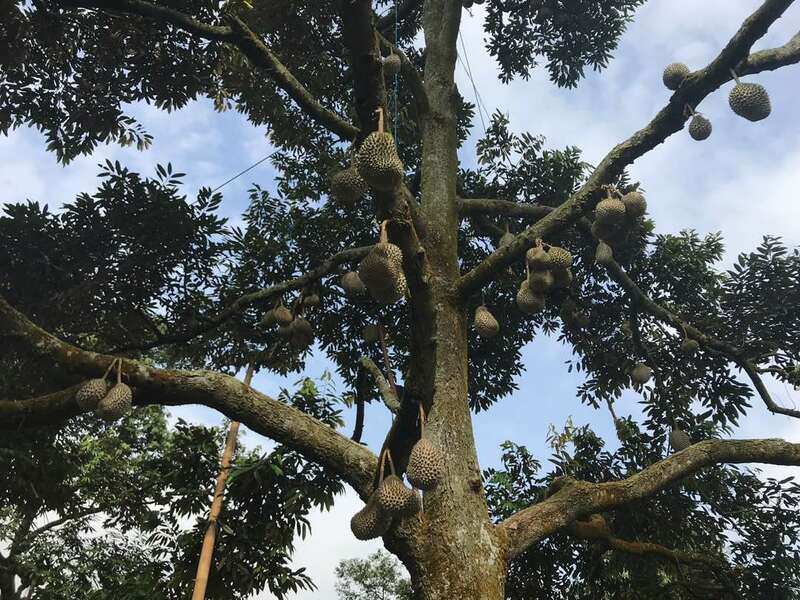 Grower Chen Gui Zhang ( 陈桂章）lovingly tended to the trees for years, each year the fruits are highly sought after by old customers. 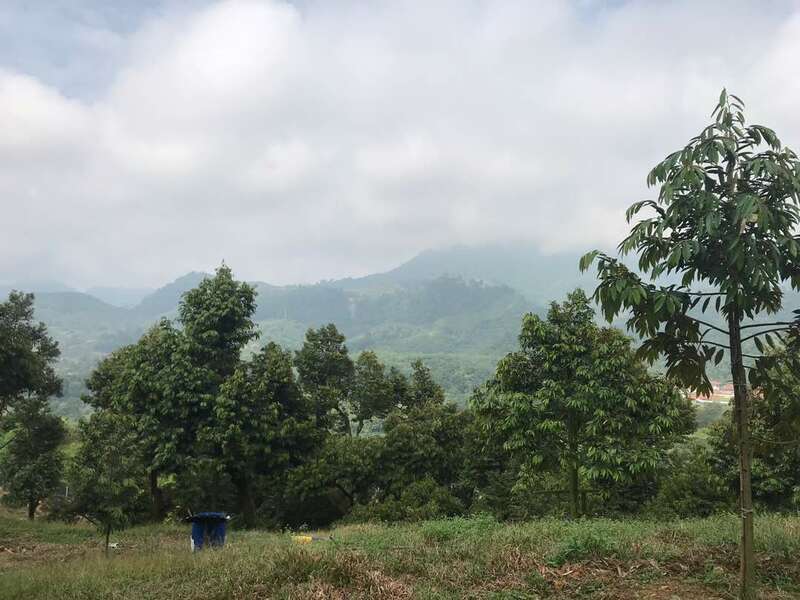 The farm is also very scenic, it has a commanding view overlooking the Karak Highway.